Now in its 10th year, The Tour of Nilgiris has grown to become one of the largest and most loved bike tours in India. In the 10th year, the tour spans 1000+ kilometres, through the three wildlife sanctuaries of Bandipur in Karnataka, Waynad in Kerala and Mudumalai in Tamil Nadu. Its riders get some of the most astounding terrain in South India on which to test their endurance, temperament, physical and mental limits. Where: Route goes through Karnataka, Tamil Nadu & Kerala! The green and clean mountains, with their spectacular scenery and varied flora and fauna – they contain some of the greatest biodiversity on the planet, with hundreds of species found nowhere else – often make cyclists embrace their beauty, turning it into a memory to be cherished. At other times, it turns into a life-changing experience for the cyclists, presenting them with tough challenges; even for the most accomplished bikers. With ever-increasing cycling enthusiasts coming in, the Tour of Nilgiris (TfN) too is seeking and embracing new challenges and frontiers. The last couple of editions brought new exciting elements to an already successful tour. Of course the 1000+km challenge through curves and speedways and undulating tough terrain continues. Apart from that, it features competitive time trial sections throughout various stages, which will definitely push cyclists to display their craft and grit. Each day of the tour also includes a competitive segment where the riders battle out on the tough terrains to be the King of Mountains. To be the leader, the rider must tame some of the toughest terrains in this part of the world for seven days. While an average day at TFN ranges between a 100 to 160kms, the last 4-5 years have had time trial on climbs or on flat courses. The individual TT distance even though they do not surpass 25-40kms on each day, it tests the rider’s grit and endurance since some of the TT sections are designed to occur on the most difficult bits of the route. The cycling community across the country has been consistently growing and many events have sprung up. 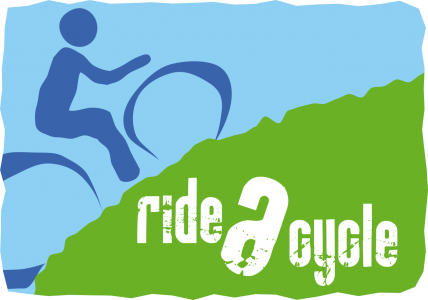 And we love this growth of events – it’s an opportunity for all of us to try different aspects of cycling. There are also a slew of single day rides that put a cyclist’s skills to test, but the Tour of Nilgiris remains the only multi-day road cycling tour in the nation that attracts the highest calibre of cycling talent. What truly makes TfN stand out are the charity riders who ride for chosen not for profit organisations who work on environment, health, children and livelihood issues. Every year there are riders who have taken up various causes and added their little bit for a better future; we look forward to it repeating this year too.